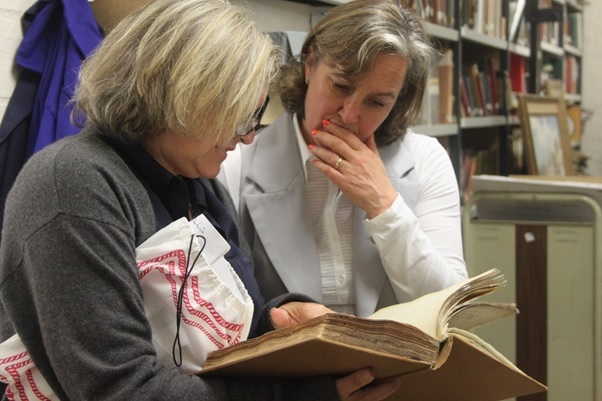 On 13 July, Local Studies welcomed the Chelsea Society on a tour of the archives. The members were particularly delighted to see their Walter Greaves grisaille watercolours of riverside Chelsea, which are stored in the archive. Plans and descriptions of Ranelagh Pleasure Gardens, once an eighteenth century pleasure ground (where the Royal Hospital now stands), were also studied with interest. Amongst the other treasures down there, Dave Walker, the Local Historian, had unearthed fascinating mortuary books, which contained details of those killed during bombing raids in World War Two. 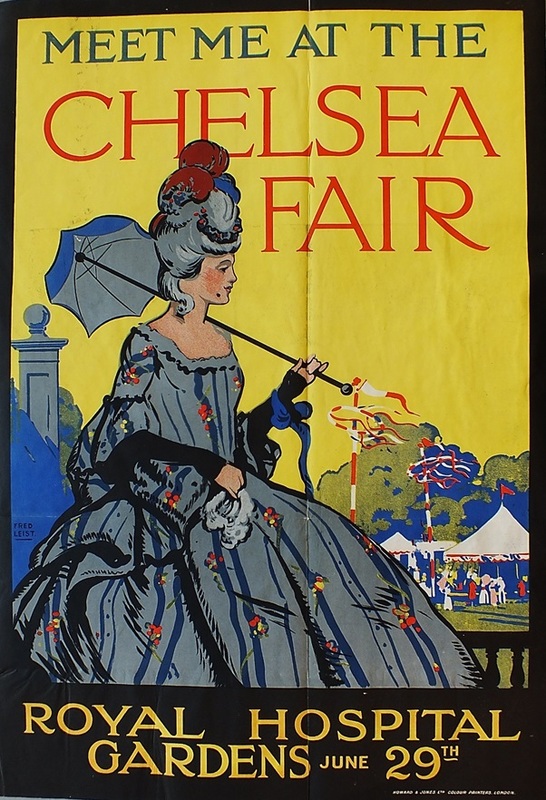 The Chelsea Scrapbooks, with their wealth of vivid World War One posters proved to be of great interest too. 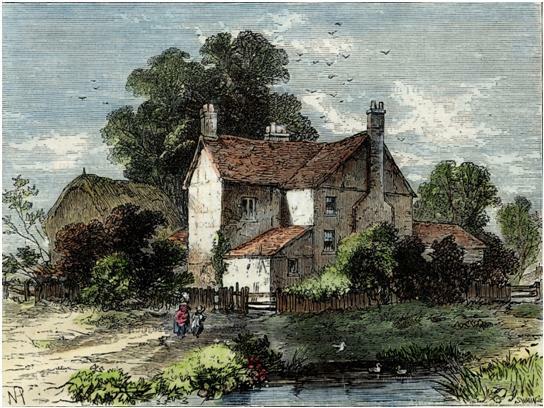 “I suspect that you might find some of our members camping in Local Studies over the summer,” remarked Camilla Mountain of the Chelsea Society, and we were very pleased to have raised awareness of the wealth of material in the archives and how to access this. The visit concluded with a well earned glass of wine upstairs and a hearty agreement that we’d be delighted to have the Chelsea Society back any time. Tours for groups can be arranged by appointment. Contact Dave Walker at dave.walker@rbkc.gov.uk for further details. 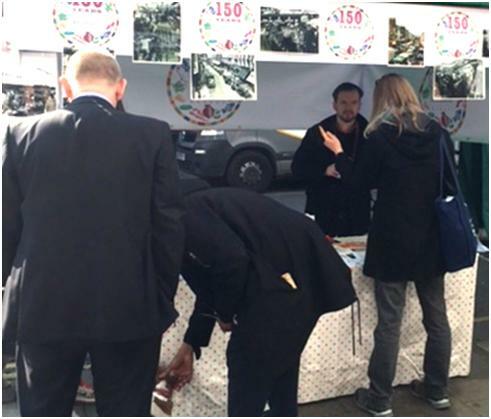 Last Friday we spent an afternoon at Portobello Road Market, celebrating 150 years of local markets and promoting our own markets-inspired writing competition (more on that, below). Despite the cold, the market was bustling and many residents stopped by to look at our photos, which showed the market from its early days. 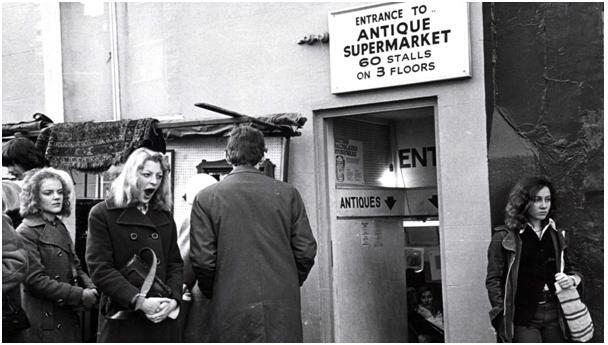 Portobello Road began life in the 1860s as a humble country lane where farmers sold produce to local people. In 1864 the area was transformed by the opening of the Metropolitan Railway Notting Hill station – now known as Ladbroke Grove Station. 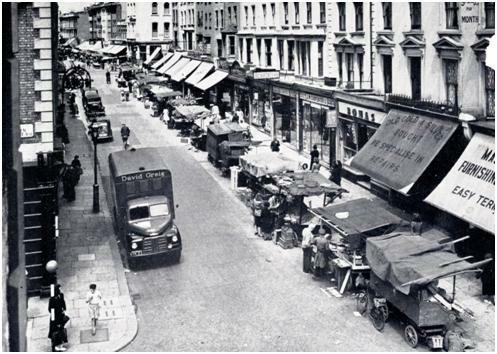 During the 1920s and 30s, Portobello and Golborne Road Market further expanded with discharged soldiers and sailors, Spanish immigrants fleeing the civil war adding to the area’s diversity. By this time, second hand clothes, shoes and ornament stalls had joined the traditional fruit, vegetables, salad, meat, fish and flowers. 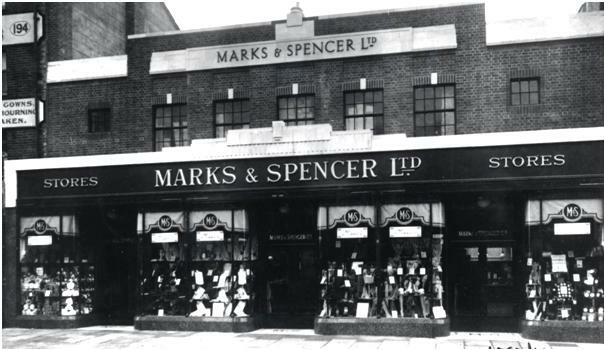 After the Second World War, Portuguese people settled in the area, opening several specialist shops which are still trading in Golborne Road. Antiques started to appear in the 1940s and 50s. Most antique stalls are open only on Saturday, which has always been the market’s busiest day. The 1940s and 50s also saw the arrival of Caribbean immigrants who came in response to post-war labour shortages. The market has also featured in films such as Bedknobs and Broomsticks (1971), Notting Hill (1999), and Paddington Bear (2014), as well as many television programmes, popular songs and literary works. Each has sparked the curiosity of a new generation of visitors and traders. We are hoping residents will be similarly inspired and take part in our short story competition which offers the opportunity to become a published author. Portobello and Golborne Market is so big, so diverse, and so fast-changing, that chances are – even if you’re a frequent visitor – there’ll be stalls you’ve never discovered; arcades, nooks and crannies that you’ve never explored. 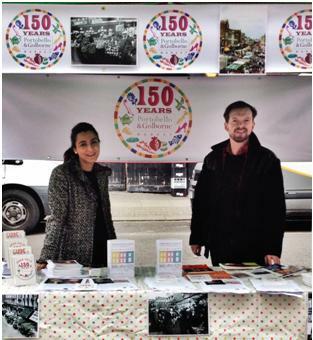 150 Years of Portobello & Golborne Market Short Story Competition! Join RBKC Libraries & Markets for a unique literary collaboration, inspired by the rich history of our local markets. Your short story can be written against any setting and from any period, including modern day. The only necessary link is that your inspiration should come from your thoughts about Portobello or Golborne Market. All winning entries will be published in an anthology that will be added to the library collection. We’re lucky to have the Household Cavalry as one of our community partners on our Kensington and Chelsea’s Great War project and so we were delighted to host a visit from their representatives. Soldiers were fascinated to see the wealth of material we had in our archives including The Illustrated London News, which was eagerly searched for photos of their regiment in action. The picture they painted of modern soldiering, in comparison to daily life in the trenches a hundred years ago, was fascinating. 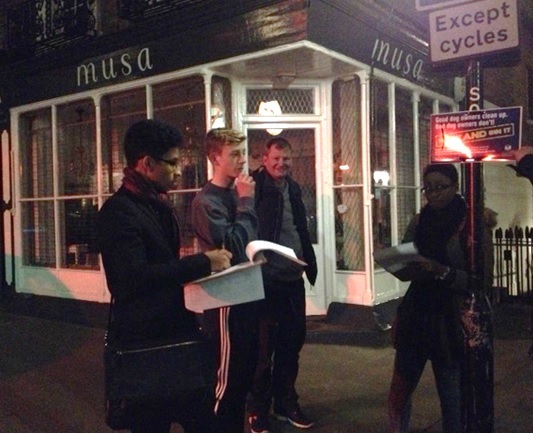 Their input into our World War One commemoration project was hugely appreciated. If you can’t get to the library today, have a look at our brilliant online resources – you can download e-books and e-audiobooks for free, and use the Times newspaper archives and Berg Fashion Library (and more) from home too. We’re delighted to announce that the World War One website (mentioned in our previous post!) is now up and running. You can find it here, so please do log on and have a look. You can search the material by personal stories (from the Mayor of Kensington to munitions worker Lottie Meade), by local regiments or by place to find out about the internment of Germans at Olympia or the model trench in Cheyne Walk. We’ve been busy putting up a wealth of material, which ranges from tickets for the Army Christmas pudding fund to posters from the war-time Chelsea Kitchens. However, a big part of our website is collecting contributions from the public about life in Kensington and Chelsea in World War One so if you’ve got a fascinating family tale about the Great War or interesting photographs please log on and add your memories. We hope to make this a permanent showcase of life in the Borough during this unique period of history. The Broughshane scrapbooks have been sitting quietly in a dusty corner of the Local Studies archive for 100 years. 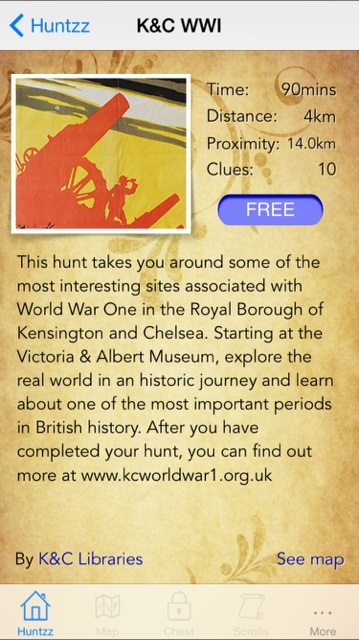 These are a wonderful resource, collected by the Mayor of Kensington during World War One. They include samples of khaki for troops’ uniforms from Harrods and poignant personal letters from the commander of the local 22nd Battalion. They have been taken out a few times over the years but part of our project remit is to get the community to engage with them. To this end, we’ve been running workshops and last Monday we were delighted to host the Pepper Pot Club from Ladbroke Grove. The scrapbooks were pored over with great interest and their content prompted memories including Zeppelins being seen over Barbados and one veteran’s more recent service in Aden. We were also keen to hear the group’s thoughts on the direction of our forthcoming World War One exhibition and there was a unanimous feeling among participants that they would like the youth of many of the soldiers to be remembered and to avoid the glorification of war. We will make this one of our community-focused aims and hope this is reflected in the tone of the blog post we’ve already done, on Randle Barnett Barker, 11/12/2014 . 2014 marks 100 years since the outbreak of World War I. This centenary anniversary has made remembrance even more poignant. The 11th November and Remembrance Sunday help mark the event which brought an end to this conflict. There is more we can do to remember though; we can look at how the war affected the lives of our families back then, which is what I and several others did using our Ancestry Online database in Kensington Central Library on Thursday 6 November. The pictures we built were often very interesting, viewing as well as military records, Census records, which allowed us small insights into their lives. But it was often also very sad – families left without sons (in one instance losing several within a very short space of time) and fathers listed and remembered on the Commonwealth War Graves Commission’s website. It made us think of how sad it must have been for them- and their friends as well. Ancestry online is available in and Kensington and Chelsea library plus in Westminster and Hammersmith and Fulham. As well as family history records for the British Isles there are other records from around the world at the time such as Canada, the USA, Germany, and France.